Heading to Paris and need some restaurant suggestions? 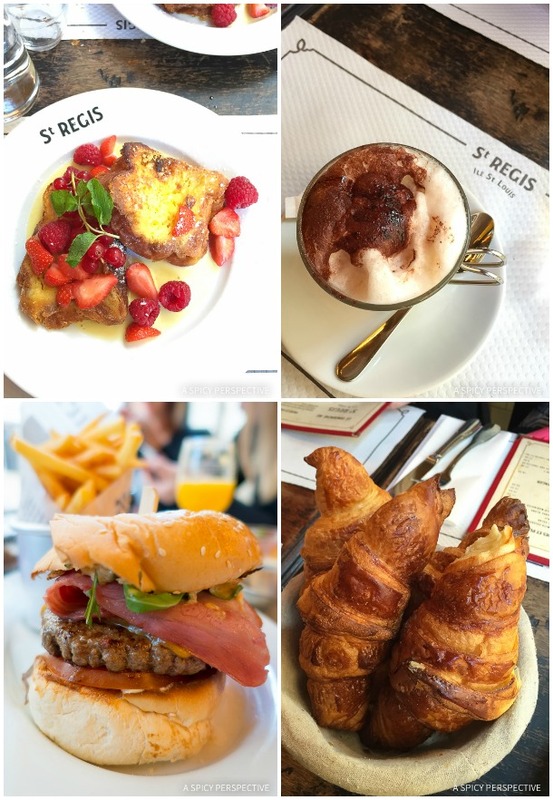 Today I’m sharing my favorite Restaurants in Paris, based on my latest trip. In light of the recent terrorist attacks in Paris, I postponed sharing this post for several weeks. However, I feel sharing all the wonderful places to eat and foods to enjoy in Paris only lifts this marvelous city. Paris relies on tourism to sustain it’s local businesses. 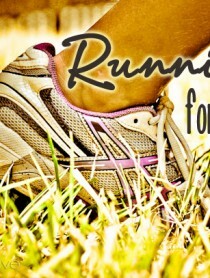 Let’s help them move toward healing in any way we can. 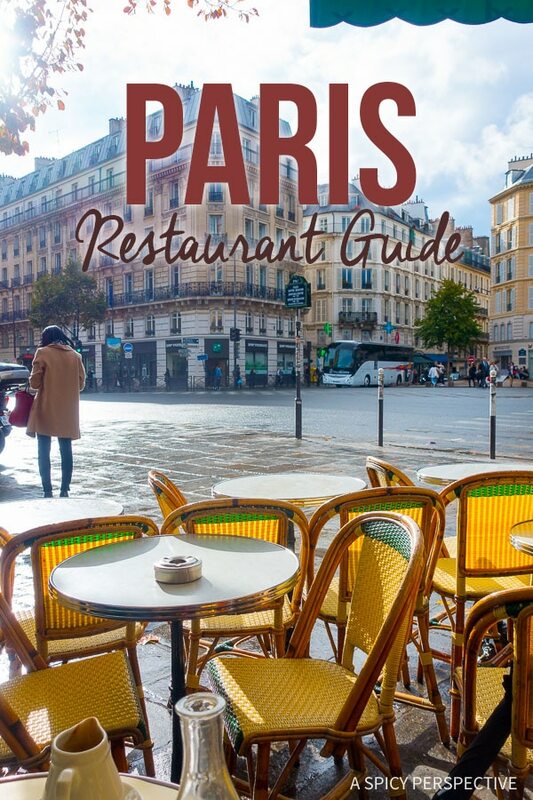 According to several online sources, there are 40,000 restaurants in Paris, France. Paris isn’t really that big, folks. And to add to this mind-blowing statistic, I found another article that states their are 60,000 businesses in Paris altogether. That means if the stats I found are correct, two-thirds of all businesses in Paris are restaurants. So it should be no problem to find good eats in Paris, right? Right?? Sometimes when faced with too many options, it’s hard to find the best one(s). 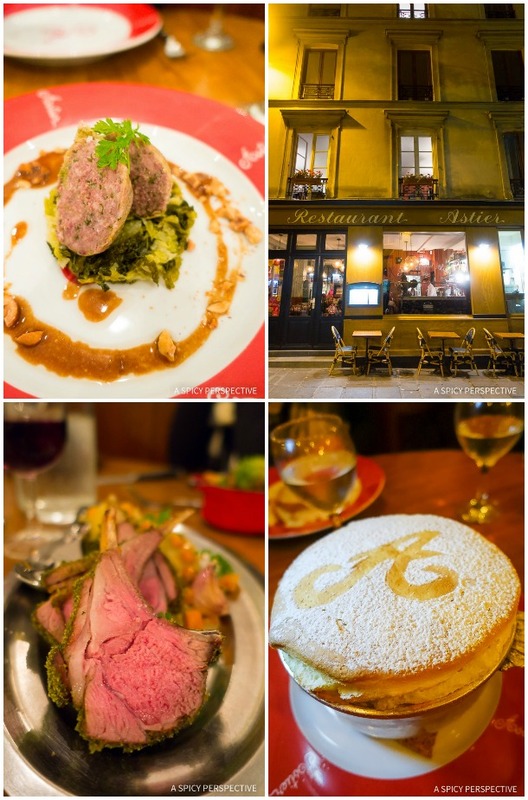 So instead of telling you I’ve found the best restaurants in Paris… in eight days. I’m just going to share the meal highlights of my recent trip. Just know, if I’m mentioning it, it’s tres tres bien! Brunch at Cafe Saint Regis – Try the pan purdue and omelets! 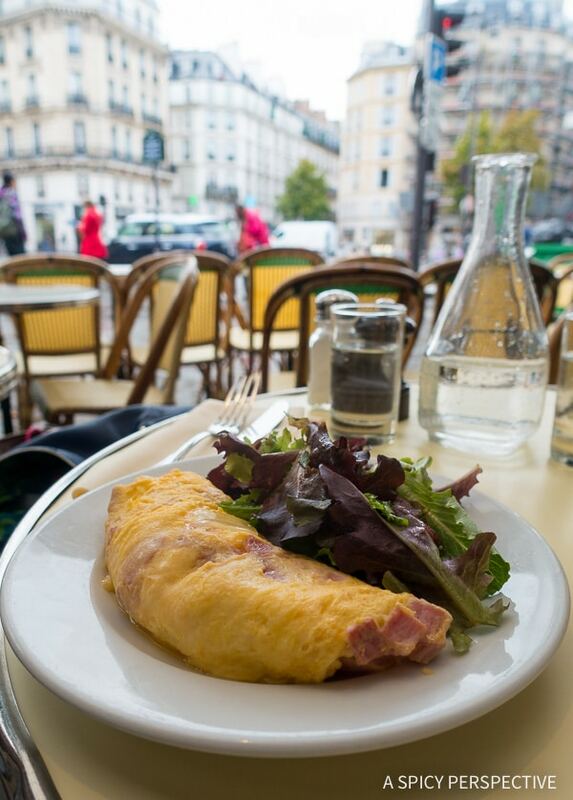 Cafe Les Deux Magots – Sit outside and people watch while enjoying a classic french omelet or croque-monsieur. Restaurant Marcel – Go for the pan purdue (french toast) with toffee sauce and bananas, and the cinnamon roll. 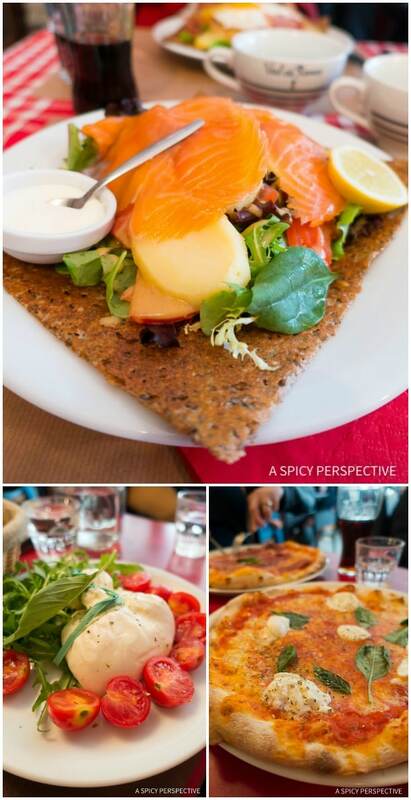 Creperie Broceliande – A classic french creperie. I had a “Norwegian style” crepe with salmon and cream fraiche. Heaven! La Briciola – Italian pizzeria in the heart of Paris. The pizza is great, but make sure to order the fresh burrata as an appetizer. 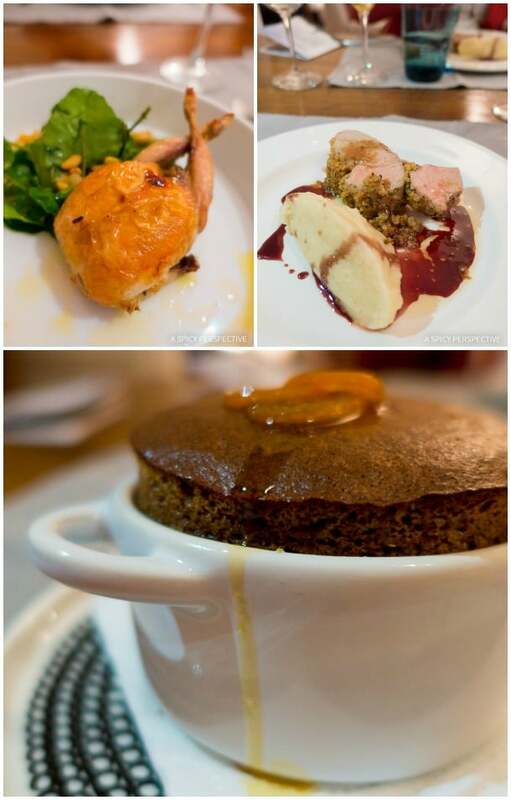 Bistrot Belhara – Elegant french comfort food. 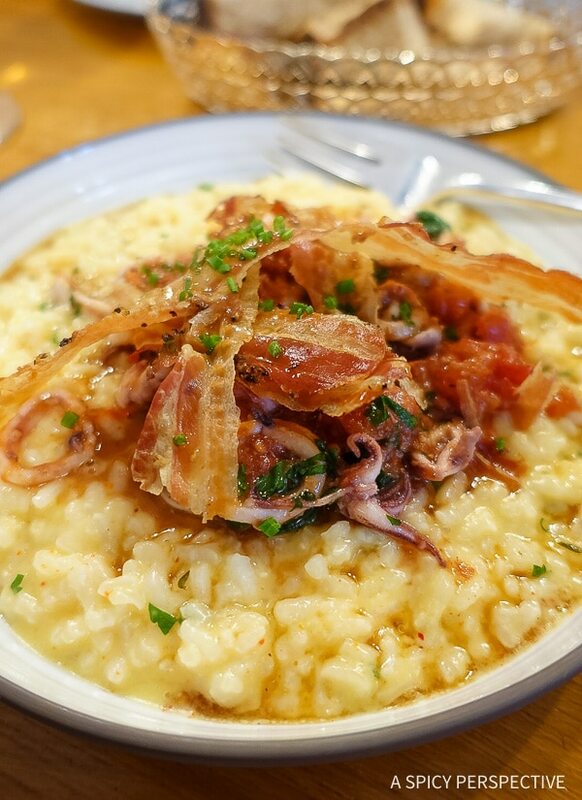 The menu changes regularly, but everything I tried was wonderful, including the risotto with octopus! Restaurant Astier – At this cozy little restaurant, I had quite possibly the best lamb and dessert souffle I’ve ever had in my entire life. Le Bosquet – Casual, subtly chic, and close to the Eiffel Tower. 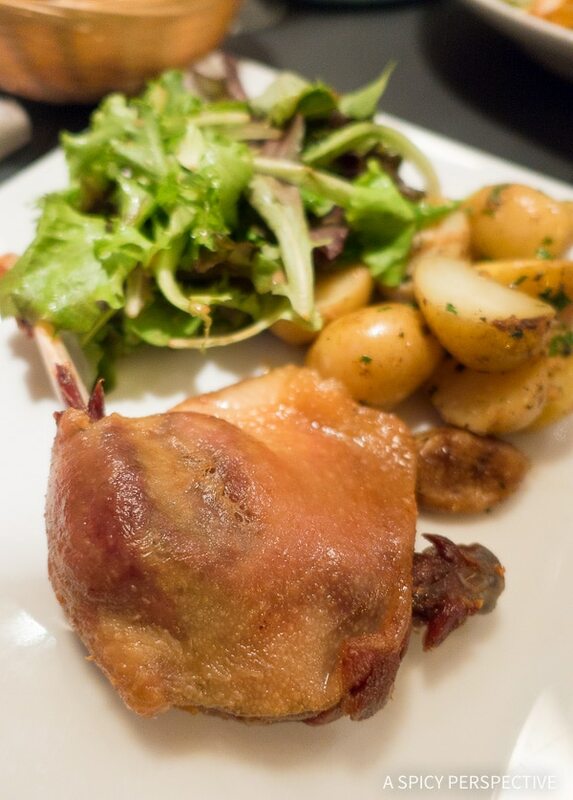 Try the Duck Confit or the Ravioli Gratin! La Bauhinia – A special dinner in the elegant Shangri La Hotel, once the palace of Napoleon Bonaparte’s grandnephew, Prince Roland Bonaparte. We were awestruck by the historic hotel, yet La Bauhinia’s unique combination of french and asian cuisine was a complete, and welcomed, surprise. 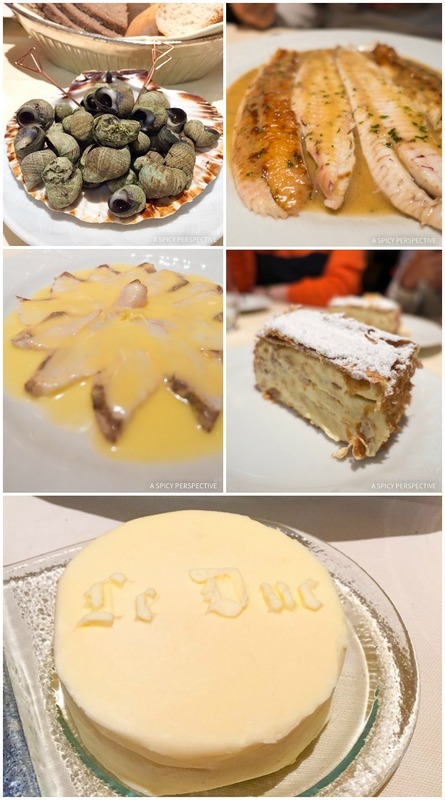 Restaurant Le Duc – Seafood in the classic french preparation. This was another surprisingly memorable dinner. We walked into an empty restaurant at 8pm, and 30 minutes later it was packed out. Seafood of every variety was brought to the table, along with buttery escargot. Order the seabass with ginger sauce! Dessance – The very definition of new Paris. This concept restaurant serves a pre-fix menu. 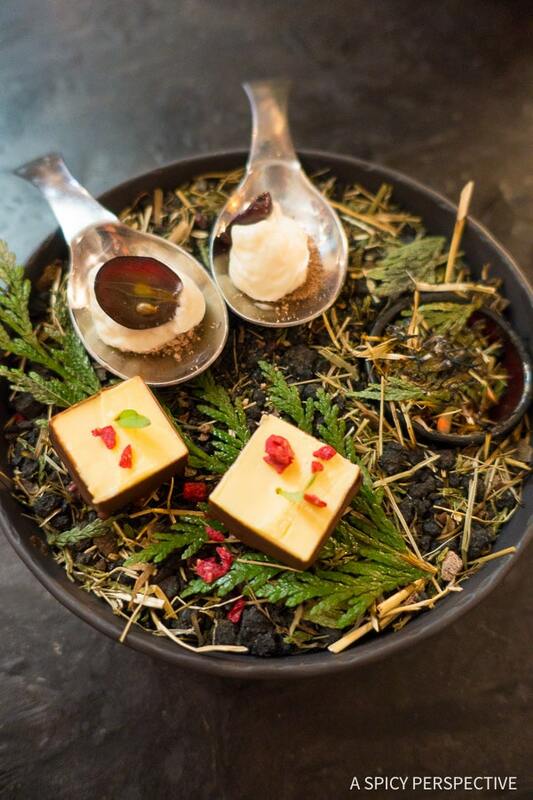 Course after course of delicately plated dishes are brought to the table, each with a touch of sweetness! I was in raptures over every dish and can only hope I get the chance to go again some day. 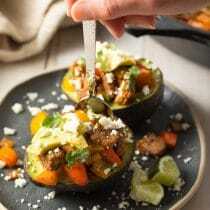 Private Dinner with Chef Brian DeFehr – Tired of the 3-4 hours Parisian dinners out each night? 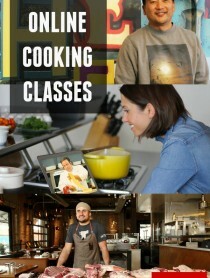 If you are renting an apartment, you can hire a private chef to come cook for you. 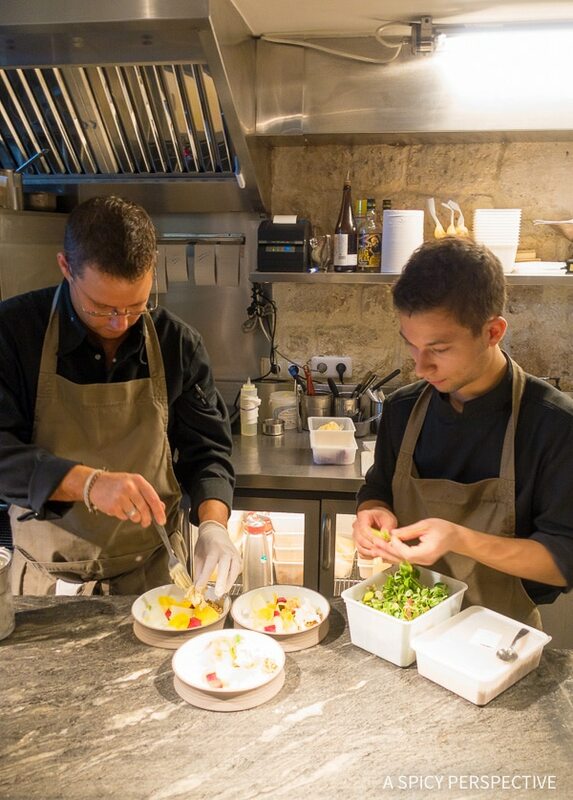 Lounge in your jammies while a gourmet meal is prepared just for you in Paris! Le Chocolate by Alain Ducasse – The standard of brilliance. A little pricey, but worth every euro! Laurent Roy Chocolatier – When I brought these home, Lt. Dan actually preferred them to the Alain Ducasse chocolates. They have an earthier flavor, while the Ducasse have a floral essence. Henri Le Roux – Deep dark flavor and slightly firm to the bite. 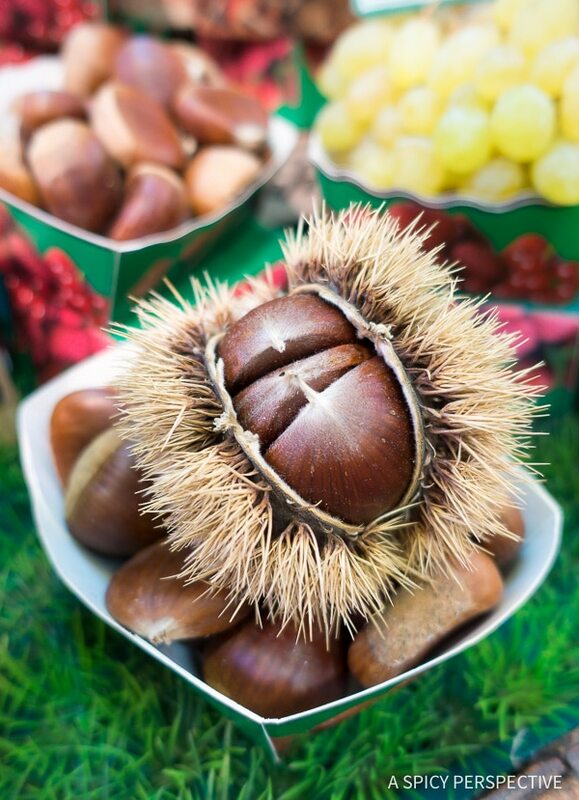 Jacques Genin – Smooth, soft, and mild with several nut variations. 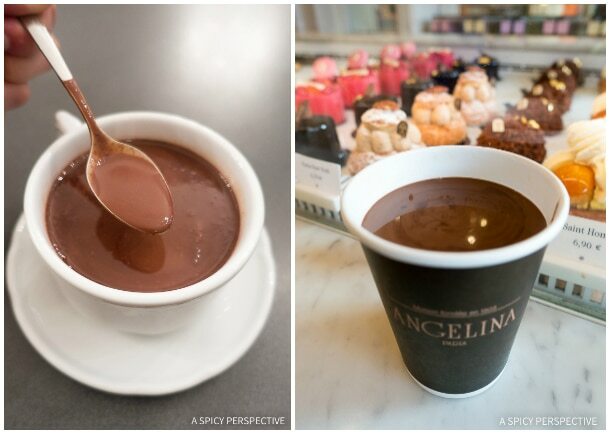 Angelina – Such a fun place with a lavish pastry counter and ultra rich hot chocolate. 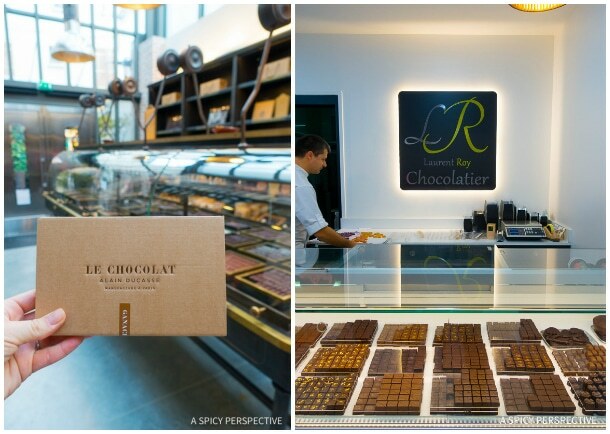 La Charlotte de L’Isle – A quaint little tea shop with amazing drinking chocolate. 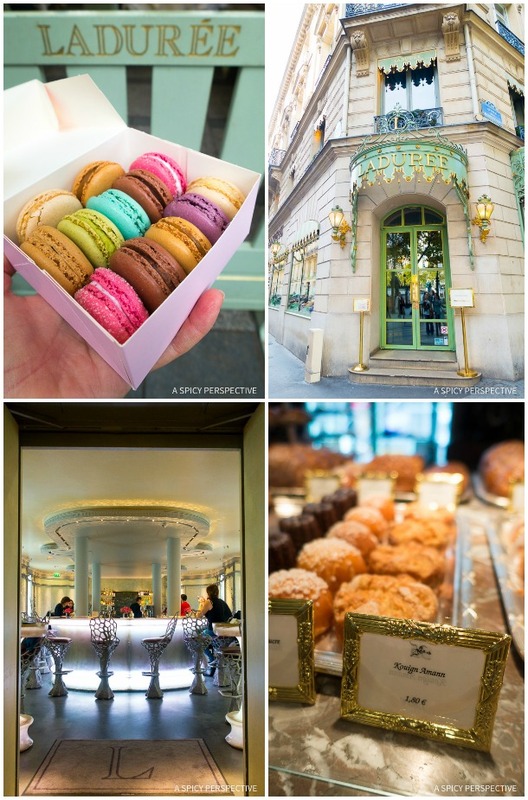 Laduree – I absolutely love the Laduree shop with a cafe, large sweets counter, and grownup bar area! 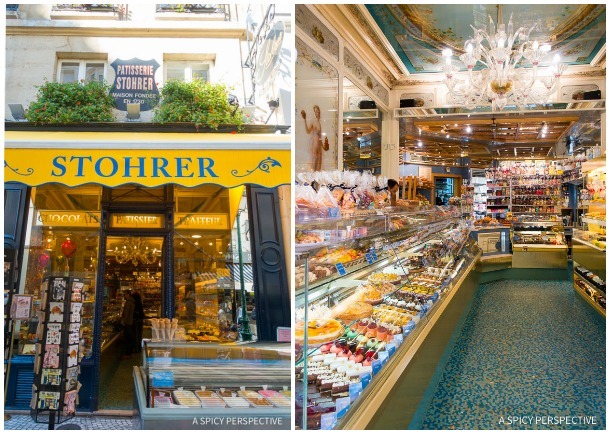 Patisserie Stohrer – The oldest pastry shop in Paris and therefore thought of as the end-all standard in french pastries. 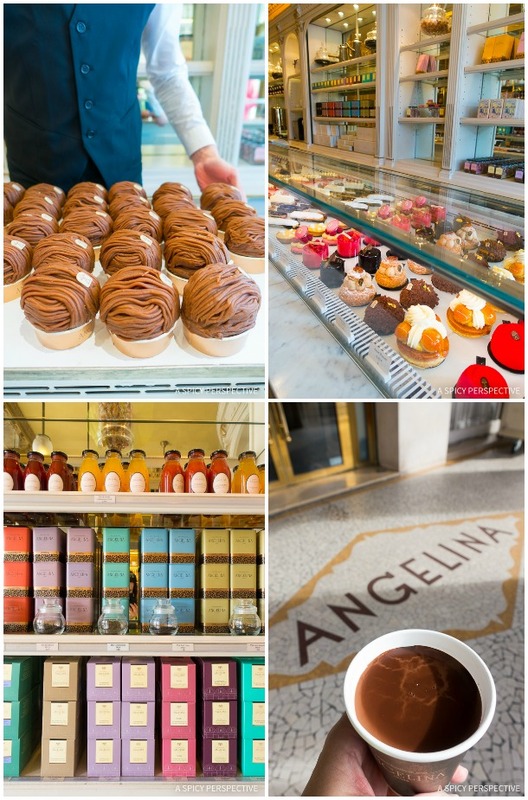 Angelina – Pretty food never tasted so good! I wanted one of everything. I never had a bad croissant in Paris, however these were the lightest and flakiest. 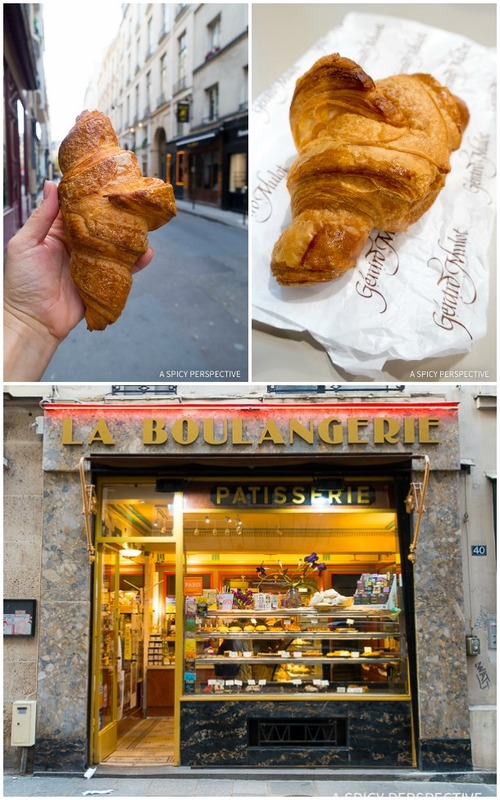 La Boulangerie – Crispy on the outside, soft and airy on the inside. Gerard Mulot – Said by many to be the best croissant in Paris. It’s a toss up! Laduree – Ultra light with remarkably moist fillings. 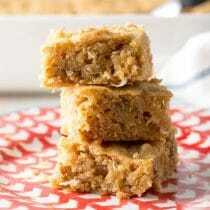 Acide – Unique flavor combos and great texture! 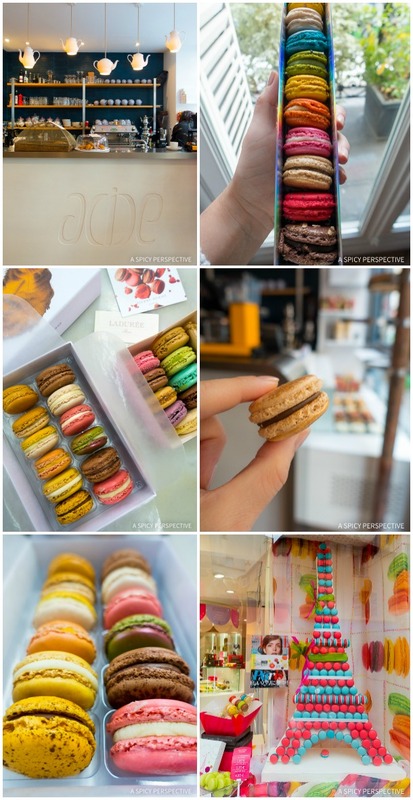 La Maison du Chocolat – The very best chocolate macarons in Paris. 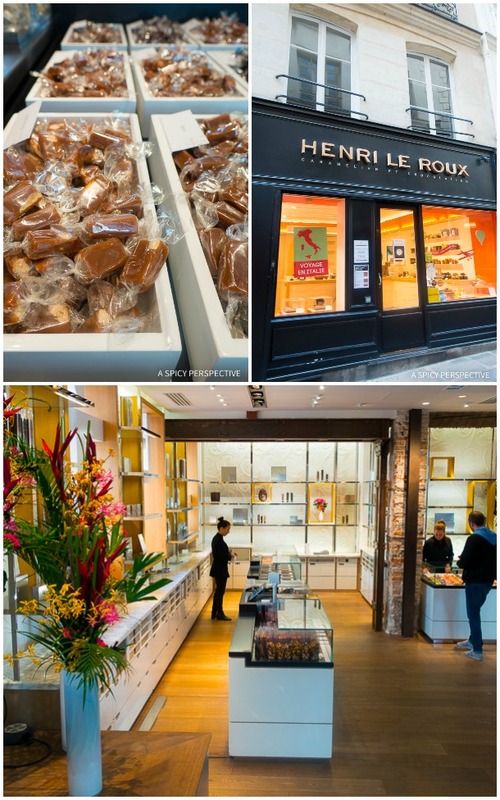 Who would have thought you can find amazing cupcakes, cheesecake, and cinnamon rolls in Paris?! 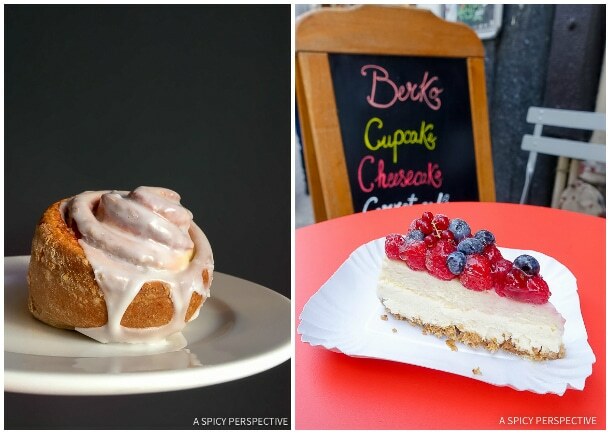 Berko – The Cheesecake… Get the cheescake. 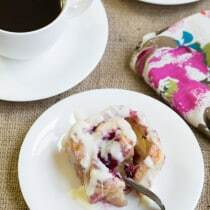 Marcel – comforting American-influenced dishes, including cinnamon rolls. Berthillon – All the way! Try the salted caramel with chocolate, and the fresh peach with white chocolate. If you missed my first Paris post, make sure to check it out. Discover tips and tricks for planning your next trip to Paris, including where to stay, what to do, and great sites to visit for additional planning tips. 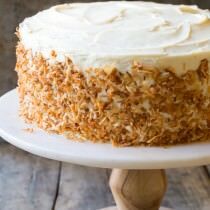 I’m feeling full just looking at all those decadent photos! Although I was just there, I NEED to go back! Really appreciate your guide! I’ve never been to Paris, but plan on going some day. This list will be incredibly helpful — especially if there truly is that many restaurants! 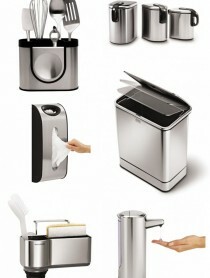 I don’t think I could pick a favorite out of all of these!! But start me off with a true croissant and I will be in heaven! 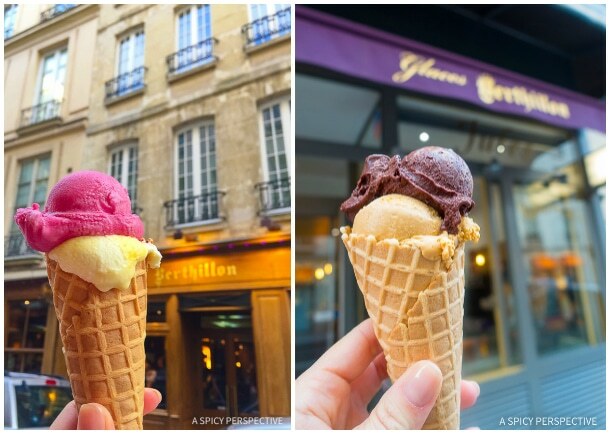 This is such an incredible guide to all the amazing food Paris has to offer !Thanks for sharing. And the pics are to die for!!! !